Just in case you don’t know what Netflix is. It is an American global provider of streaming films and television series. In the past Netflix was the biggest (and actually the only) company in the field. Those were the days when they were able to have low subscription rates and still provide a wide catalog of almost everything. 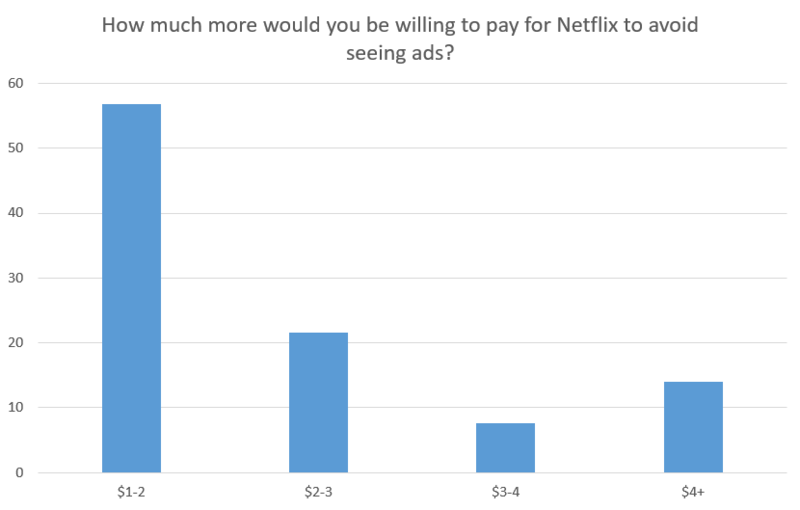 But as time goes, new players are on the market = new competitors, so Netflix prices have been rising. 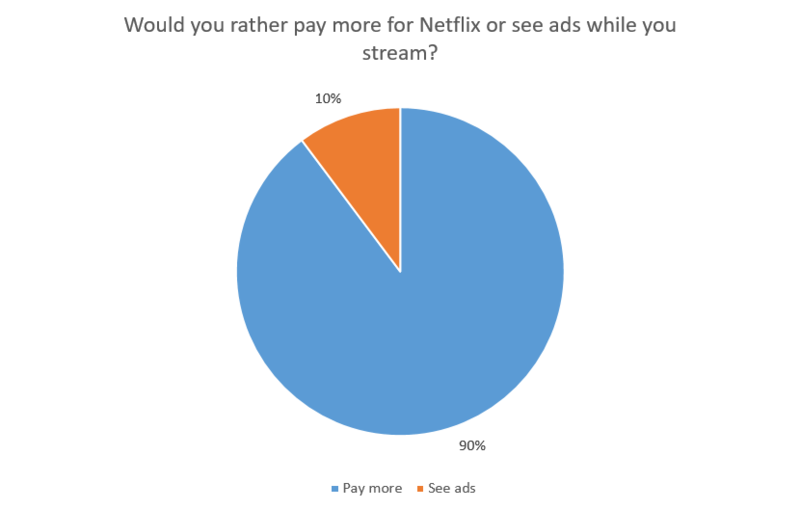 So where shall a streaming company find new profits in a tight market? 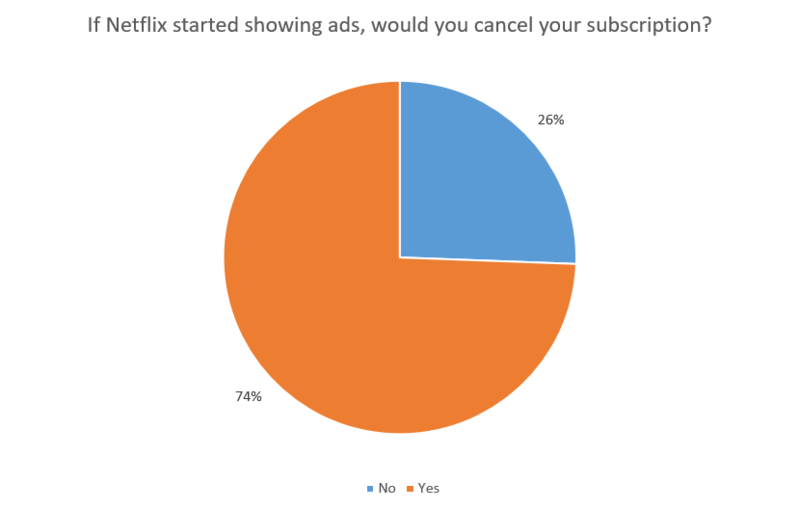 According to some people, the answer is for Netflix to start showing ads, like competitor Hulu does. But there are those who are against such option. And those are Netflix users themselves. Allflicks conduct a little survey to find out what users actually think on the matter. More than 1200 people took part in the poll. Well, answers of respondents are very… demonstrative. A wake up call for those who still don’t know what internet audience thinks. And of course Netflix needs to consider users opinion before making any decisions.